follicles to the surface of the skin. A small hair grows through the follicle out of the skin. Skin cells, sebum, and hair can clump together into a plug. This plug gets infected with bacteria, and swelling results. A pimple starts to develop when the plug begins to break down. Certain medications-: Examples include drugs containing corticosteroids, testosterone or lithium. Diet-: Studies indicate that certain dietary factors, including skim milk and carbohydrate-rich foods — such as bread, bagels and chips — may worsen acne. Chocolate has long been suspected of making acne worse. 1. 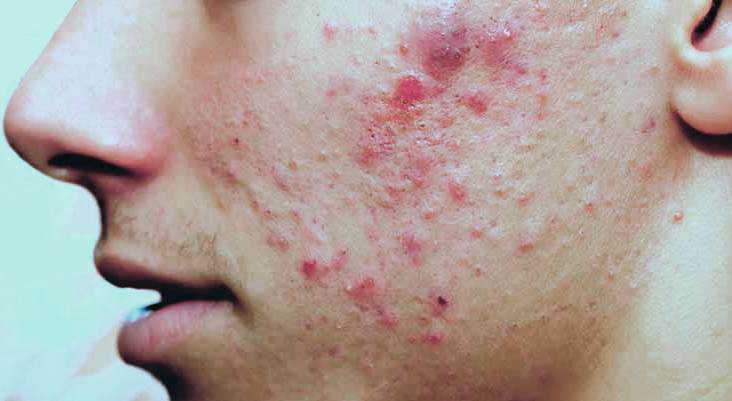 Diet: It is unclear what role diet plays in worsening acne. Scientists have found that people who consume a diet that offers a good supply of vitamins A and E and of zinc may have a lower risk of severe acne. 2. 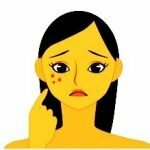 Tea-tree oil: Results of a study of 60 patients published in the Indian Journal of Dermatology, Venereology, and Leprology suggested that 5-percent tea-tree oil may help treat mild to moderate acne. 3. Moisturizers: These can soothe the skin, especially in people who are using acne treatment such as isotretinoin, say researchers. Moisturizers containing Aloevera at a concentration of at least 10% percent have a soothing and possibly anti-inflammatory effect. 4. Good Sleep and Stress -free atmosphere. Creams and lotions are best for sensitive skin. Alcohol-based gels dry the skin and are better for oily skin. For best suggestion consult your nearby Licenced Pharmacy. • Azelaic acid: strengthens cells that line the follicles, stops sebum eruptions, and reduces bacterial growth. There is cream for acne, but other forms are used for rosacea. These side effects normally subside after continued use. If not, see a doctor. Your hormones, lifestyle, stress, heredity is what triggers acne and hence it is essential that you visit an expert dermatologist who will diagnose the right cause of your acne and prescribe the right treatment for best results. It is not just acne, there are other problems associated with it like pigmentation and scars. 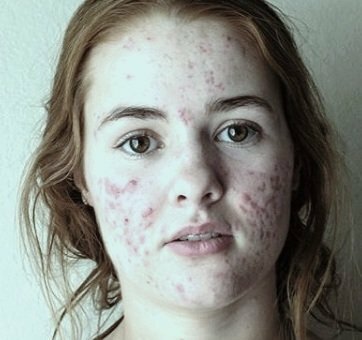 Even when acne is healed, it may leave behind ugly marks and scars. 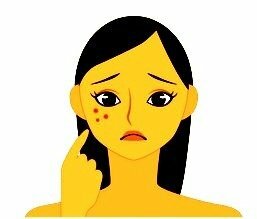 This happens when the skin does not heal properly leading to depressions or marks. Post-inflammatory-hyperpigmentation (PIH) and is a very common side-effect. It is caused due to increase in pigment production under your skin. These can be usually treated using chemical peels or advanced lasers which are generally safe. 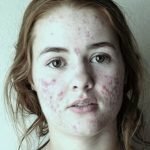 If you are suffering from acne, you should immediately seek professional help as acne can lead to permanent scarring, which might hide your skin’s beauty.